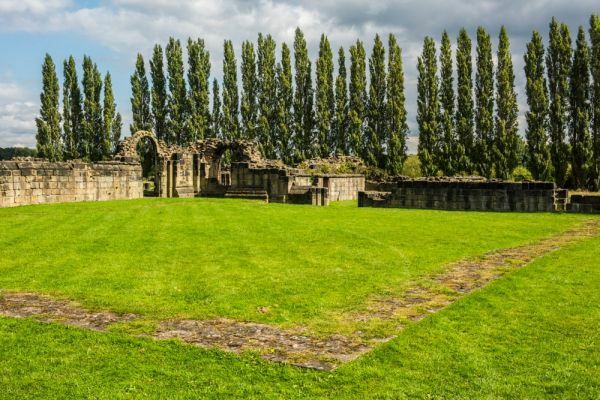 A housing estate on the edge of Barnsley is not where you would expect to find the ruins of a 12th-century monastery, but in these unlikely surroundings you will find the remarkably complete remains of Monk Bretton Priory. Monk Bretton was a Cluniac priory established around 1154 by Adam Fitz Swane as a daughter house of St John's in Pontefract. The Pontefract monks later claimed full jurisdiction over the Monk Bretton Priory. This conflict caused relations between the two monasteries to become strained, and regular disagreement over who had ultimate control of the Priory led to armed conflict on occasion. Things came to a head in 1252 when the Prior of Pontefract appointed Adam de Northampton to be the new Prior of Monk Bretton. The monks refused to accept the new man, insisting that they had the right to elect whomsoever they chose to the post. In 1255 Pope Alexander IV ordered the Dean and Archdeacon of Lincoln to arbitrate the dispute. A compromise was reached in 1269 allowing the monks to elect their own prior, but the elected man had to be confirmed by the Prior of Pontefract. Monk Bretton also had to pay a yearly fee of 20s. A fascinating episode followed in 1279 when the Abbot of Cluny ordered a visitation of all English monasteries following the Cluniac way of life. When the visitors arrived at Monk Bretton they were refused entrance. They complained to the king, who supported their case, and returned with a bailiff and sheriff's officers. They entered the chapter house, expecting the monks to attend them, but no monks appeared. They said they had no intention of attending the Cluniac visitors without their prior, who was away. The exasperated Cluniac's promptly excommunicated the entire community. Given the rocky relationship between the monks and the Cluniac order, it comes as no surprise that in early 1281 the Priory left the Cluniacs and joined the Benedictine order. That didn't stop the Cluniacs from trying to re-assert authority over Monk Bretton in 1289, but that effort came to nothing. 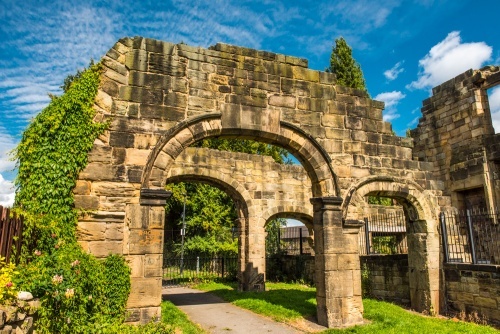 Monk Bretton did, however, continue to pay 20s every year to Pontefract Priory until the Dissolution of the Monasteries. Monk Bretton seems to have been unable to avoid controversy, though; in 1323 Archbishop Melton deposed the prior, Richard de Halghton, on a charge of wasteful expenditure and perjury. De Haighton was allowed to continue as a monk, with his own chaplain, a private chamber, his own servant, and a double allowance of food. The affair did not end there, for the man appointed as the new prior, William de Went, was later charged with appointing a sub-prior against the monks wishes and naming as cellarer one Robert de Langstoft, an excommunicate and known forger of papal letters. A later prior was deposed after he was found guilty of alienating the priory's goods - a crime again to embezzlement. When Monk Bretton was suppressed by Henry VIII in 1539 there were 13 monks resident under a prior. All received pensions including Prior William Browne, who received the considerable sum of 40 pounds per year. After the Dissolution, the priory was purchased by the Earl of Shrewsbury for his son, Henry Talbot. Henry transformed the Prior's Range into a comfortable residence. He may have employed Robert Smythson, the most famous Tudor architect, to design his new home. The new house at Monk Bretton was the home of the Talbot family and, later, the Armyne family. The gatehouse was converted to a residence and later used as a barn for the nearby grange. Quite a bit of the monastery remains, including the cloister, west range, and the impressive 15th-century gatehouse. The Prior's Range on the west side of the cloister is almost complete and unaltered. On the ground floor are remains of a cellar, a storeroom with a well and an obvious floor drain. On the north side of this area is the parlour where monks would meet with visitors. 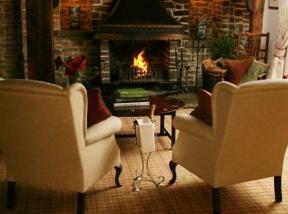 Over this cellar area was the prior's chamber, furnished with a fireplace and cupboards set into the walls. Little of the church remains, barring the south transept. Several medieval grave slabs remain, though these are not in their original positions. The church was begun soon after the Priory was established, probably in the late 1150s, but it was not completed until the 14th century. The remains of the late 13th-century priory kitchen and bakehouse stand to the south of the refectory. 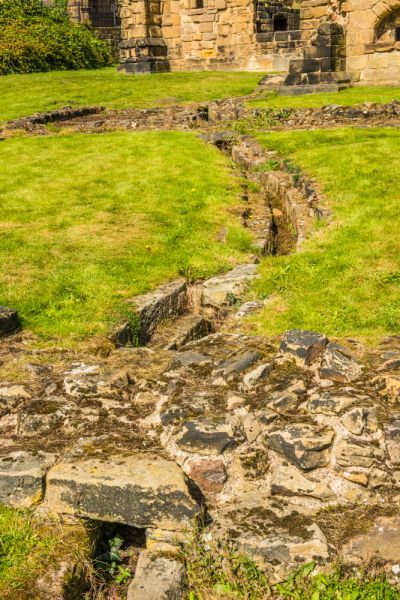 Nearby are several stone-lined drains, probably one of the best-preserved monastic system of drainage surviving in Europe. 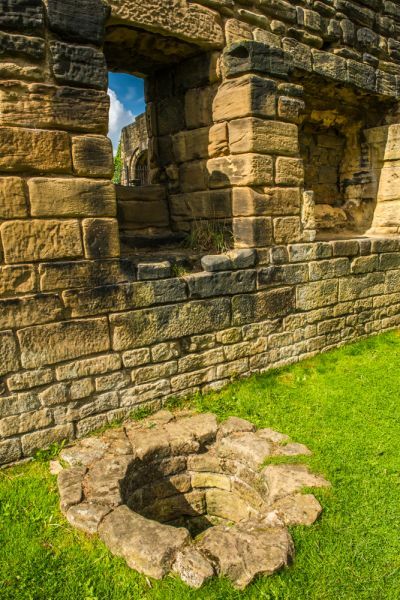 Water was supplied by a channel to the kitchen and then washed away waste into a drain under the reredorter, or monks' latrine. The water was also channelled into a holding tank called a penstock. The outflow from the penstock was controlled by a timber sluice gate. 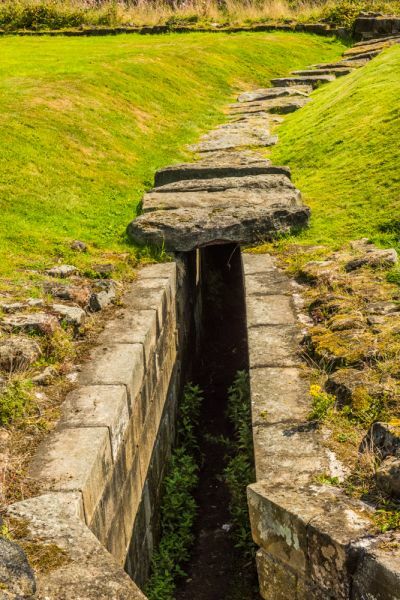 When water built up in the penstock the sluice gate was lifted and the water would rush through the drains with greater force, flushing waste from the kitchen and latrine areas before curving between the infirmary and guest house. The Monk Bretton water and drainage system is remarkable, and very easy to trace on the ground. Nearby are the visible remains of two fishponds maintained by the monks as a steady source of food. The priory has a reputation for being haunted. People have reported seeing robed figures, presumably spirits of the monks, walking about the priory site. A ghostly monk has also been spotted at the nearby Mill of the Black Monks pub, originally a water mill built by the monks. 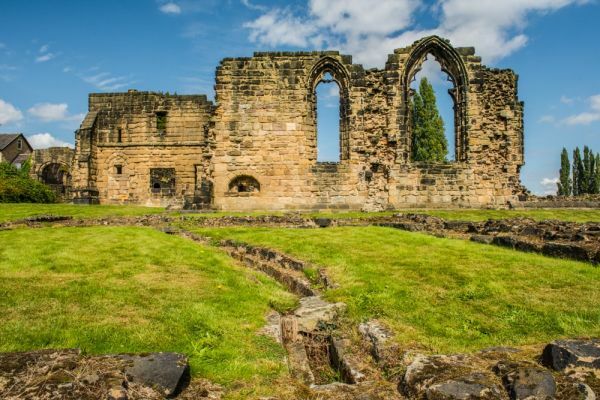 A legend suggests that there is a secret underground passage leading from the priory to Ardsley, and people have reported seeing ghostly monks walking on the site of an old bridge in Ardsley. 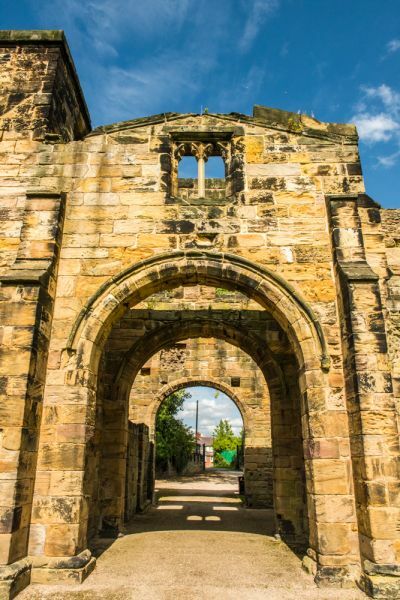 The priory is cared for by English Heritage but is aided by the Friends of Monk Bretton Priory, a charitable organization devoted to promoting the priory to visitors. The Friends website gives further details of the priory's history, plus useful visitor information. Access to the priory site is very easy. 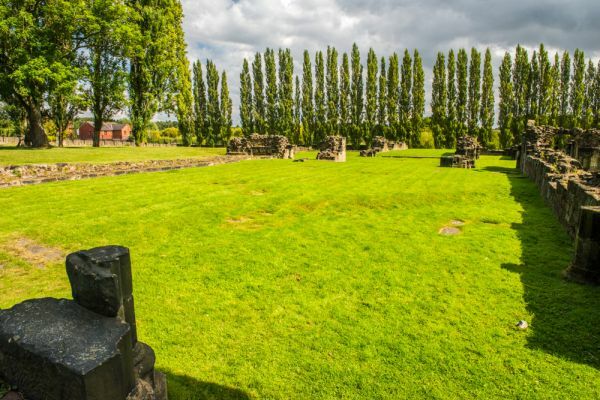 The Priory is located on Abbey Lane, just off the A633/A628 roundabout on the eastern fringe of Barnsley. There is free parking inside the Priory gates. Location: Off the A633/A628 roundabout in south-east Barnsley.